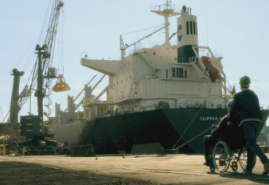 Edward – Dawid’s father, as a Master Mariner was able to see his son only few days every year. 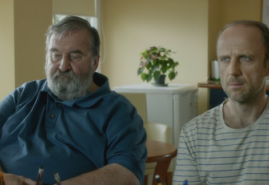 Now Dawid has his own family and he decides to take care of his father who has Alzheimer’s disease. Even though there is time now for them both to improve their relation the illness makes it impossible. Every day Edward has less and less memories that are so valuable for Dawid to fill the gaps from his past. How much of his present life Dawid will be able to sacrifice to gain from his father’s past and spend the last moments with him and his vanishing consciousness? Born in Płock (1992). He graduated from Music School on piano, and Warsaw Film School in a field of Directing. 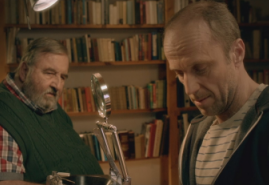 His diploma movie Strong Coffee Is Not That Bad has won many awars on various festivals in Poland and abroad. Alek gained his experience on the sets like Obywatel by J. Stuhr, Bridge of Spies by S. Spielberg, Planet Single by M. Okorn and True Crimes ny A. Avranas, as an 1st AD, 2nd Unit Director or AD. Now he is also studying at the University of Warsaw on the Artes Liberales department.